Notes: Sutton Coldfield Town was opened by the Midland Railway (MR) as Sutton Coldfield on 1 July 1879. The station was situated on the double-track Castle Bromwich/Water Orton and Walsall line which was authorised on 6 August 1872 as the Wolverhampton, Walsall & Midland Junction Railway (WW&MJR). The MR was a backer of the scheme, seeing it as a means of gaining access to Wolverhampton from its Birmingham and Derby main line. At Walsall the line had a direct connection with the Walsall and Wolverhampton Railway which came into MR ownership in 1876. The line opened to all traffic on 1 July 1879. The MR Sutton Coldfield station was located a short distance to the east of the town after which it was named. 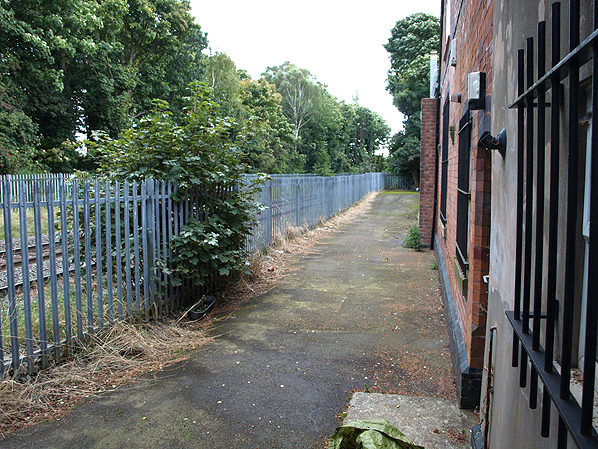 The main facilities were located on the down platform (Walsall direction) and were reached by a driveway. 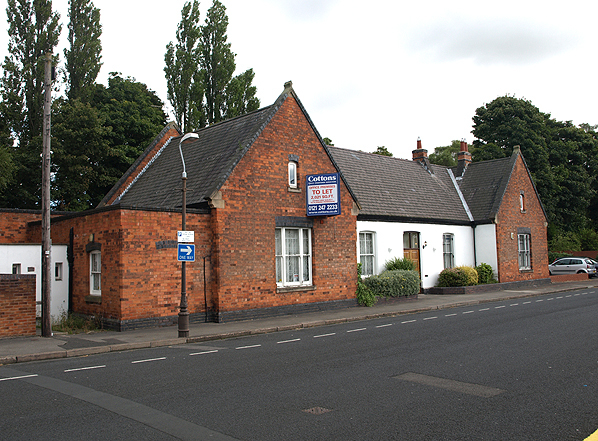 The building was a single-storey red-brick structure, and cross-gables with prominent parapets faced each elevation; small windows were set into the gables at ‘first floor’ level to light the interior. On the up platform there was a building in the same style as that on the down. It provided waiting accommodation and toilets. Sutton Coldfield had no goods facilities. 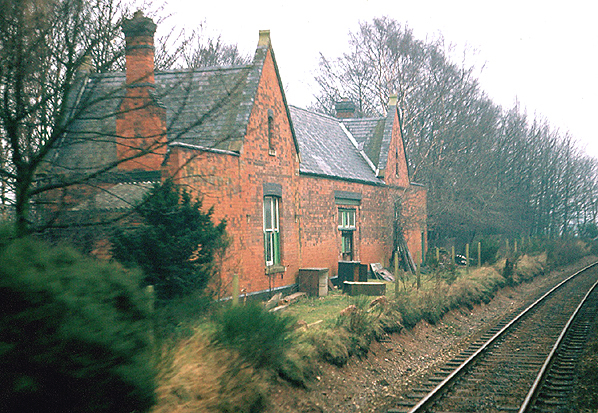 The MR provided Sutton Coldfield with goods facilities at Sutton Park station, less than half-a-mile to the north-west on the same line. Just beyond the platforms to the north-west the MR line passed over the London & North Western Railway’s (LNWR) Birmingham and Lichfield (via Sutton Coldfield) line which had opened to passenger services on 2 June 1862. The LNWR provided a station, also called Sutton Coldfield, conveniently sited in the town centre. At the time of opening the MR Sutton Coldfield was served by trains between Birmingham New Street and Wolverhampton High Level via Walsall. 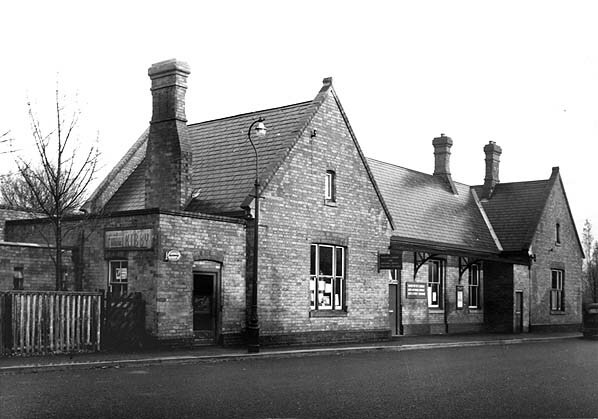 On 1 May 1882 the station was renamed Sutton Coldfield Town to distinguish it from its competitor on the LNWR route. The December 1895 timetable showed 12 trains in each direction on Monday-to-Friday. On Saturdays there was an extra up service and there were 3 trains each way on Sundays. From 1 April 1904 the station reverted to being simply ‘Sutton Coldfield’. In January 1909 the MR altered the route of most of its trains so that they ran between Walsall and Wolverhampton along an LNWR route that had been created in 1881. This was to avoid a reversal at Walsall. The April 1910 timetable showed Sutton Coldfield as having 14 up and 13 down trains Monday-to-Friday, as shown in the table below. There was an extra up and down train on Saturdays and four in each direction on Sundays. By 1922 the service had reduced to ten up and nine down Monday-to-Saturday with three services in each direction on Sundays. On 1 January 1923 both the MR and the LNWR became part of the London Midland & Scottish Railway (LMS). As the LMS found itself with two Sutton Coldfield stations it renamed the former MR facility Sutton Coldfield Town on 2 June 1924 - a name it held twenty years earlier. The former LNWR station offered a much more direct journey to Birmingham New Street, and passengers for Walsall could easily use Sutton Park. For this reason the LMS closed Sutton Coldfield Town station on 1 January 1925. The station buildings were not demolished. By the late 1940s the main building was in use as a government Ministry of Labour Exchange. Passenger services continued to pass through the station until 18 January 1965. In July 2013 the line was still a busy freight route, and Sutton Coldfield Town station was being used as a commercial premises. Tickets from Michael Stewart, timetable from Chris Totty and route map by Alan Young. A Regional History of the Railways of Great Britain, Volume 7 The West Midlands , by R Christiansen, David & Charles 1973. Lost Lines, Birmingham and the Black Country, by N Welbourne, Ian Allan 2002. Railway Passenger Stations in Great Britain a Chronology, by M Quick, Railway & Canal Historical Society 2009. Sutton Coldfield Town station looking east in 1950. 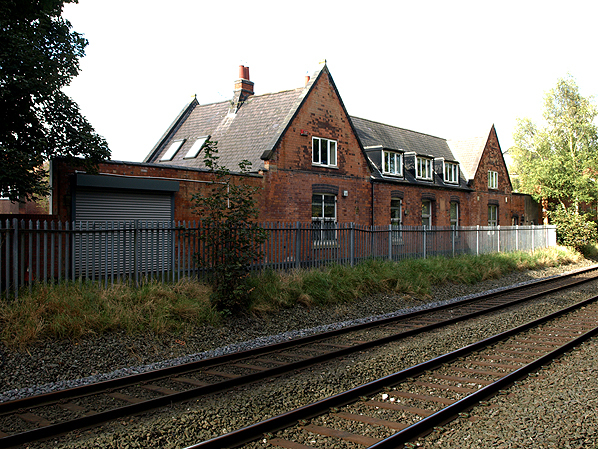 The main booking office facilities were located in this building which was on the down (Walsall direction) platform accessed from Midland Drive. Even though the station had closed some 30 years earlier the buildings were still being used at this point by the Ministry of Labour and National Service Employment Exchange. Sutton Coldfield Town station shown on a 1913 map. Merseyside Express rail tour on 14 January 1978. 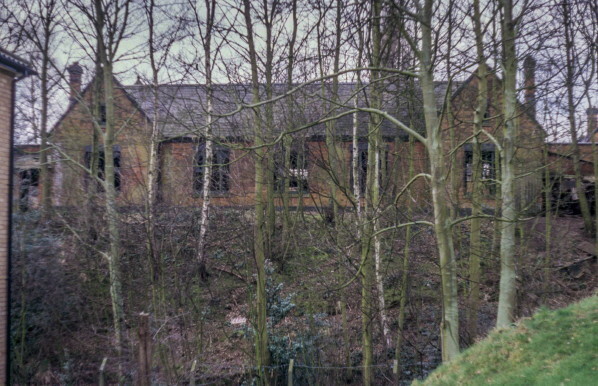 The frontage of the up platform building viewed from Pages Close on 13 March 1988 the building is now, clearly, unused although in relatively in good condition. 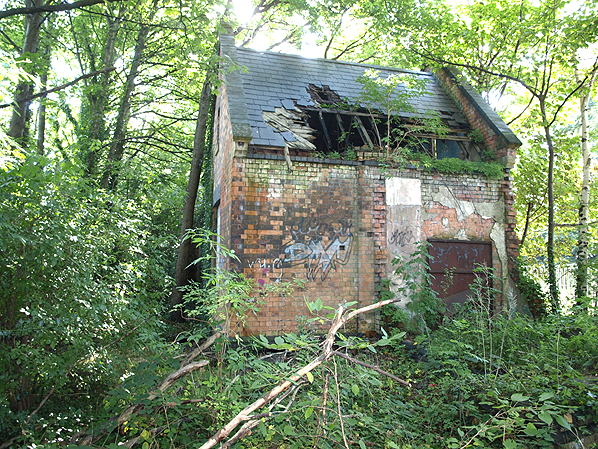 It was around this time that the Sutton Coldfield Railway Society were looking to use the building as a club house, sadly poor access and no parking proved to scupper their plans. By September 2012 the main booking office was in private use as offices. Sutton Coldfield Town was the first of the former WW&MJR line stations close on the line but ironically the only one with both platform buildings extantin the second decade of the 21st century. Looking west from the up platform towards the down platform building on 27 September 2012. Looking south-west towards Castle Bromwich along the down platform on 27 September 2012.
this view was taken on 27 September 2012.